The band's classic windswept style is executed cleanly but feels emotionally remote. British Sea Power has cultivated a reputation for drawing on esoteric cultural and historical references for musical and conceptual inspiration, and in this, Let the Dancers Inherit the Party does not disappoint. The videos for the first two singles "Bad Bohemian" and "Keep on Trying (Sechs Freunde)" arrive with visual artistic purpose, both rooted in weird, frenetic, animated collage art, both inspired by Dadaism in general and (the press release reveals) the work of German artist Kurt Schwitters in particular. Sechs freunde, we learn, is the German term for "six degrees of separation", the band itself composed of six members, the number six appearing throughout the video in cryptic and curious ways, folded into all the usual military and nautical imagery. And so it goes. Your mileage will vary with your patience for allusive diversions in pop music. But in the title there is a compelling conceptual thread that winds back through to the musical tone and content of the album. The Dancers Inherit the Party is a collection of poetry published in 1960 by the Scottish writer and visual artist, Ian Finley Hamilton. In the titular poem Hamilton writes, "When I have talked for an hour I feel lousy / Not so when I have danced for an hour / The dancers inherit the party / While the talkers wear themselves out and / sit in corners alone, and glower." We are invited here to imagine a distinction between dancing and movement, on the one hand, and talking and inertia, on the other; between inspiration and exhaustion, and between enduring and surrendering. They seem mindful of this theme and there are moments of reflection that recall it. Dancers is their tenth full-length release in 14 years. The critical appeal of the band, since their debut, has been generally high but also uneven, and their commercial profile has very slowly declined. They have experimented with formats, composed soundtracks, and re-recorded old songs. In Do You Like Rock Music? (2008), they have also, in spite of their idiosyncracies, given the listening public their version of forthright visceral stadium rock. From one point of view, Dancers makes the case for inspiration and endurance. It is richly evocative of British rock music history, and is full of simple, direct, and appealing songs. The most straightforward of them – "Bad Bohemian", "Saint Jerome", "Praise For Whatever", and late album gem "Don't Let the Sun Get In the Way" – are built on a rhythmic sensibility that recalls the classic post-punk of New Order or Joy Division. They are layered with sheets of guitar riffs and textures from wind, keyboard, and other stringed instruments, all of it ordered to sound harmonically rich, tonal, pleasant, wistful, and melancholic. Here they sound like Echo & the Bunnymen or the Cure with shimmering guitars, or New Order with more pop hooks, or the Chameleons with simpler arrangements. 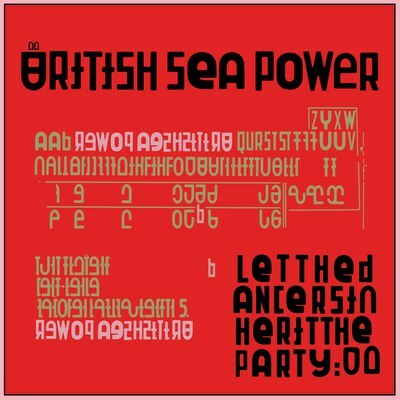 In other words, then, British Sea Power have muscled their way into a tradition of British rock music with a relatively unique version of it. But the opening lines on the album possibly capture the band in a mood of weariness, and with a possible melancholy note on aging: "You said the world was losing all its lustre / You realized each day you're growing old / And the future stretches out there between us / And we decide if we want it to be cold." But simple and literal-minded emotional resonances have never been at the top of this band's list of priorities. So the second verse either uses the language of chemistry to make the same point – "It's sad how now the glass looks rather empty / The formulation of the elements make you yearn / What's done is done and there'll be no redemption / Just periodic tables to be learned" – or is perhaps actually a hint that the song is simply a series of references to some obscure chemist bohemian known to the band members and to historians of science. British Sea Power will keep you guessing – or depending on your point of view, they will frustrate you in this manner, on the verge of connecting emotionally in a direct manner only to whimsically pull away. Although the band's ambitious lyrical and conceptual affectations have a curiosity value for the listener with patience and inquisitiveness, it also costs them something. Their classic windswept style is executed so cleanly, the band showing they are dancers that will probably outlast the talkers. But the lyrics and emotional content – colorful and humorous, but perplexing and enigmatic – feel out of joint with the urgency, immediacy, and simple appeal of the songs. Dancers is the product of skilled technicians but feels emotionally remote.